Now that the holidays are over, I am putting some time into completing Part 2 of the Spare Bedroom Makeover Series. This room is used for several purposes – Library, Exercise and Sewing. If you missed Part 1 – the Library, you can find it HERE. Since we’ve moved into the house, this room’s primarily purpose was a space for me to exercise. 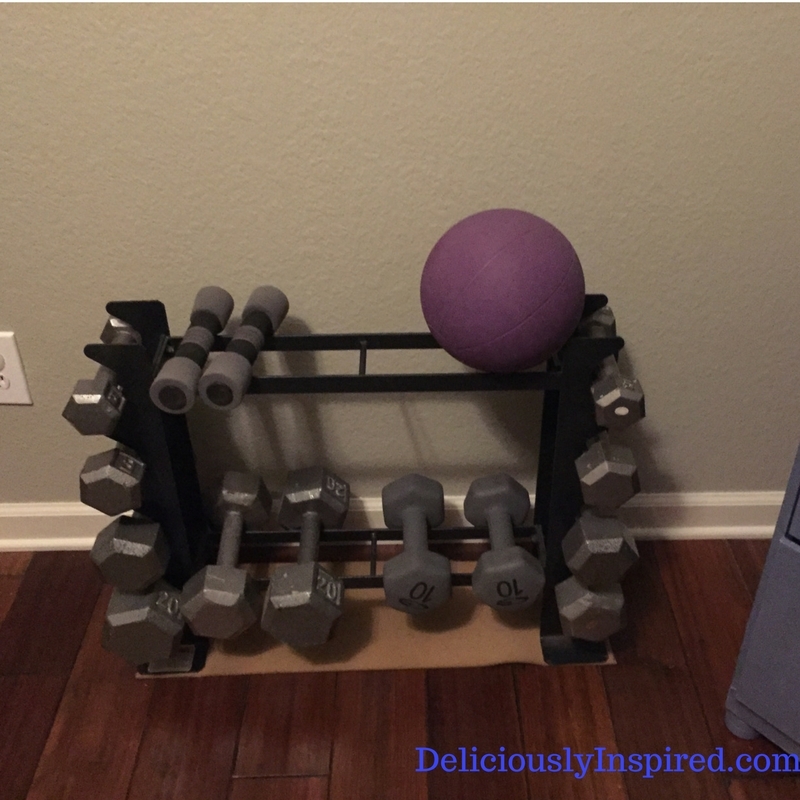 My goal was to create a space that not only reminded me to exercise (one reason the weight rack is left out in the open), but allowed me to play a streamed or DVD workout, and have my equipment handy but mostly unseen. 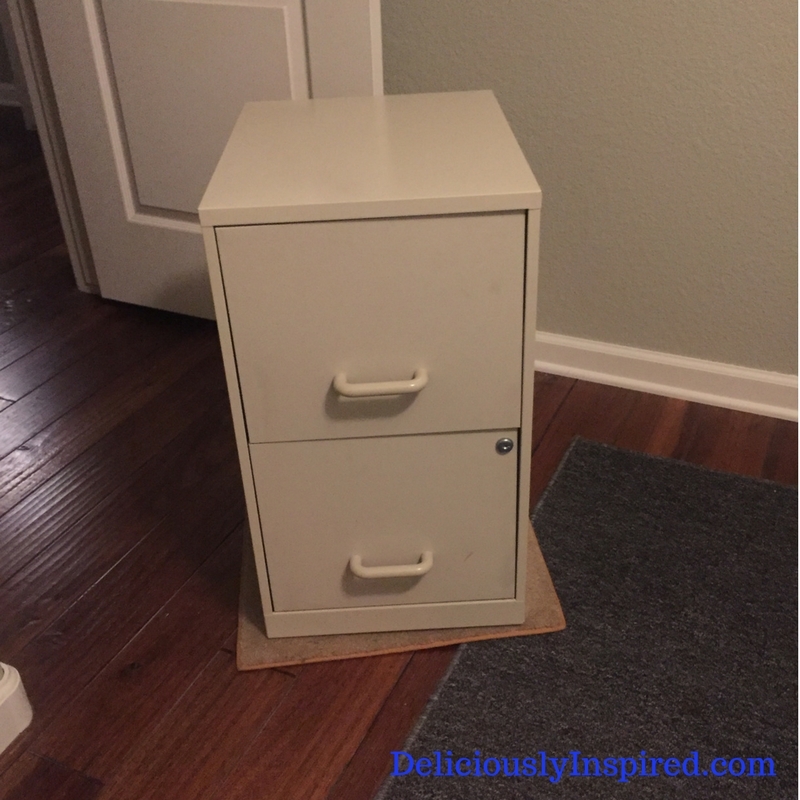 Again I found pieces around the house and purchased second-hand that when given new paint and hardware brought them to life. When choosing pieces, the storage the pieces could provide was key. The first step was to remove a solid oak entertainment center we had brought with us when we moved. It was too large for the room and would later be donated to a thrift store. We tried to sell it, give it away but there were no takers. Sometimes you just need it gone so you can move on. 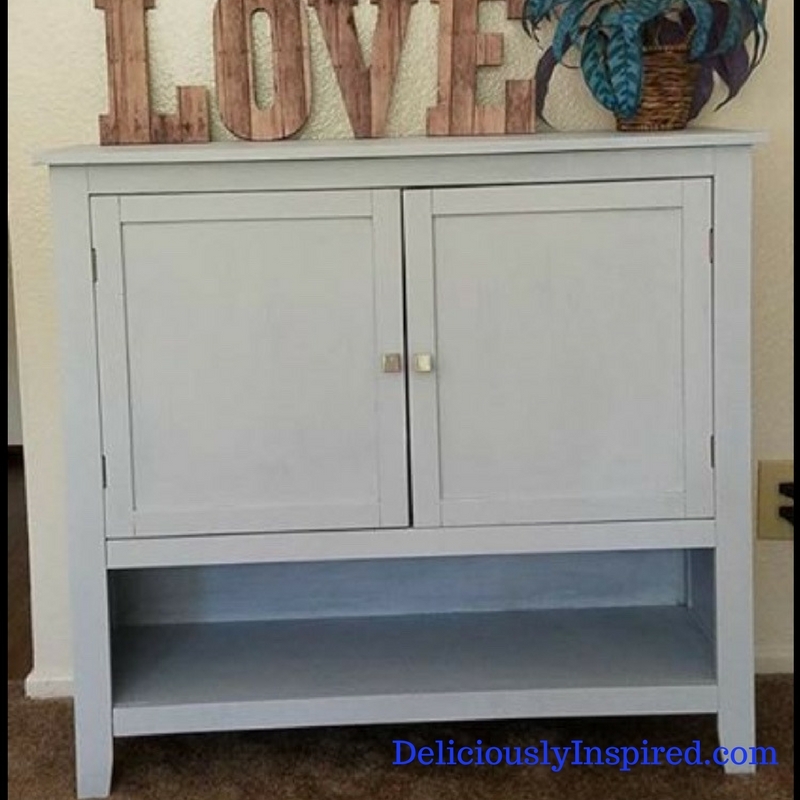 I purchased this piece for $50.00 from a young mom who was trying her hand at repainting furniture. When I got it home, I went to clean it and the Windex took the paint completely off since a sealer hadn’t been applied. My blue piece now had a gaping black circle. 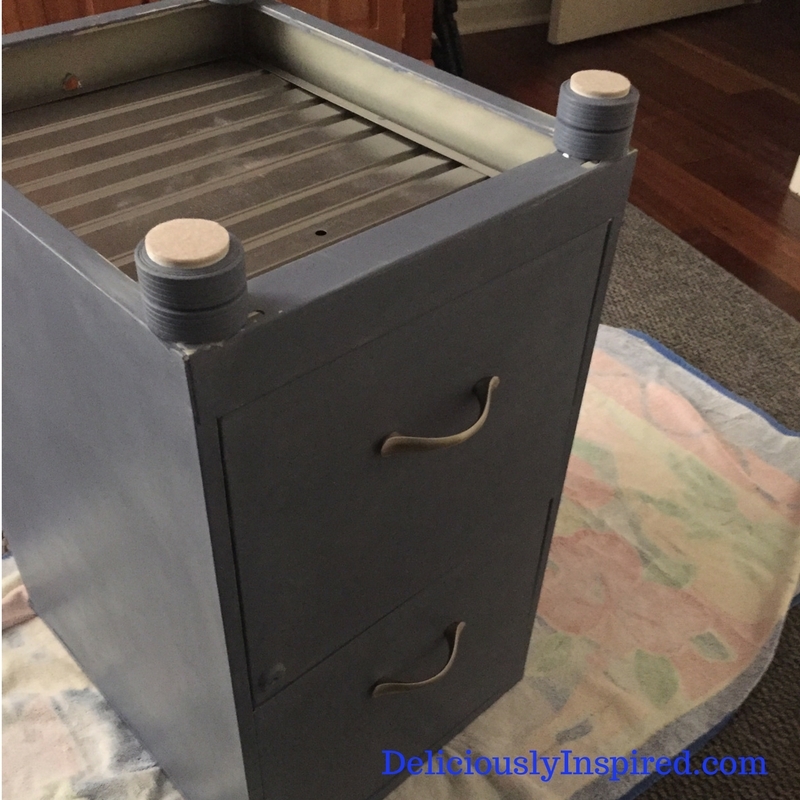 There was a moment when I thought “Well, that wasn’t the best purchase I’ve ever made.” But soon Plan B was formed and I was heading to the store to choose a color of chalk paint. I find this the hardest part – what color???? I chose a color that looked like a favorite pair of soft denim jeans. Yeah! The paint adhered beautifully. New hardware was added. To add a little height and stabilize the cabinet from rocking, I picked up some wooden toy wheels and painted them. Jeff was able to screw them to the bottom. I added foam pads to protect our hardwood floors. Here are the pieces painted with new hardware. I found a light that happened to have unfinished wood and a shade that had a similar blue. The picture was a $10 find from Offer Up. There is still room for my laptop and having the enlarged monitor is nice when I’m utilizing a streamed or DVD workout. I also bought a few small bottles of chalk paint in other colors for accent pieces. 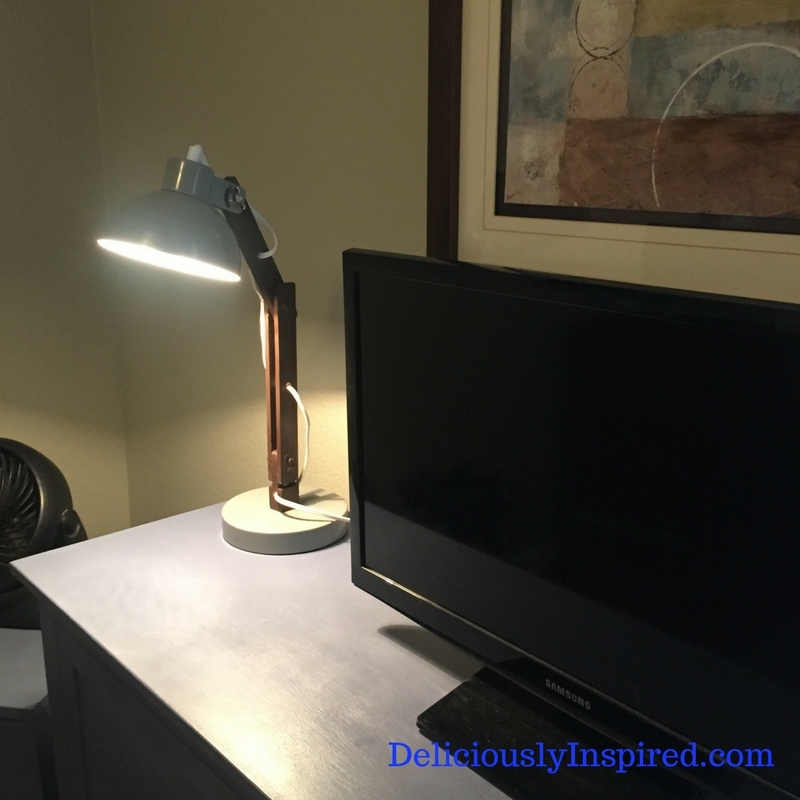 What a difference painting the wood on the lamp brown made. All of sudden it blends in with the picture frame as well as other elements in the room. 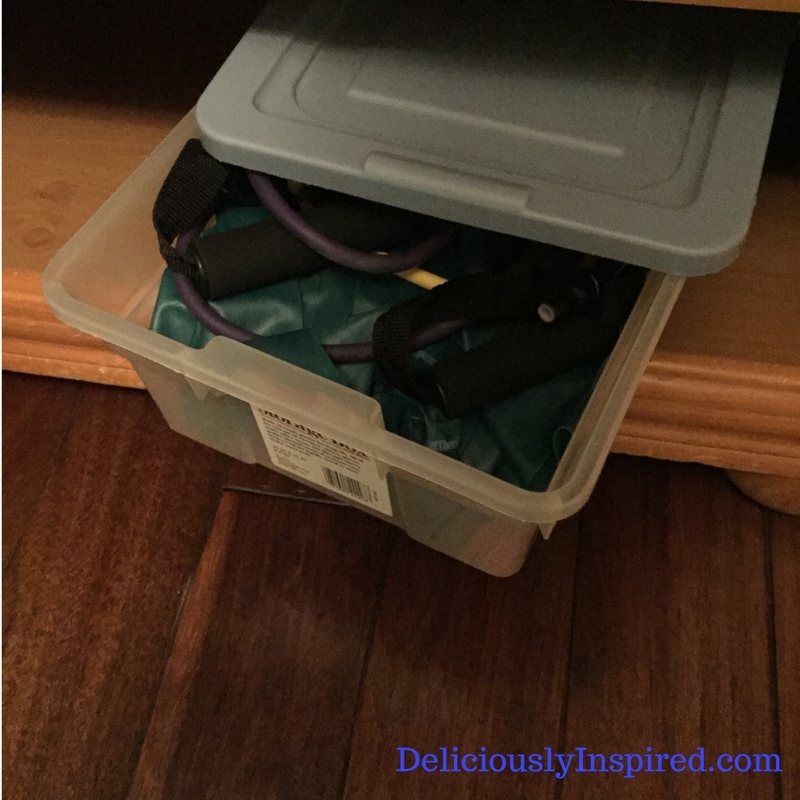 I was able to place my stability bench in the closet as well as the bottom part of my step bench. 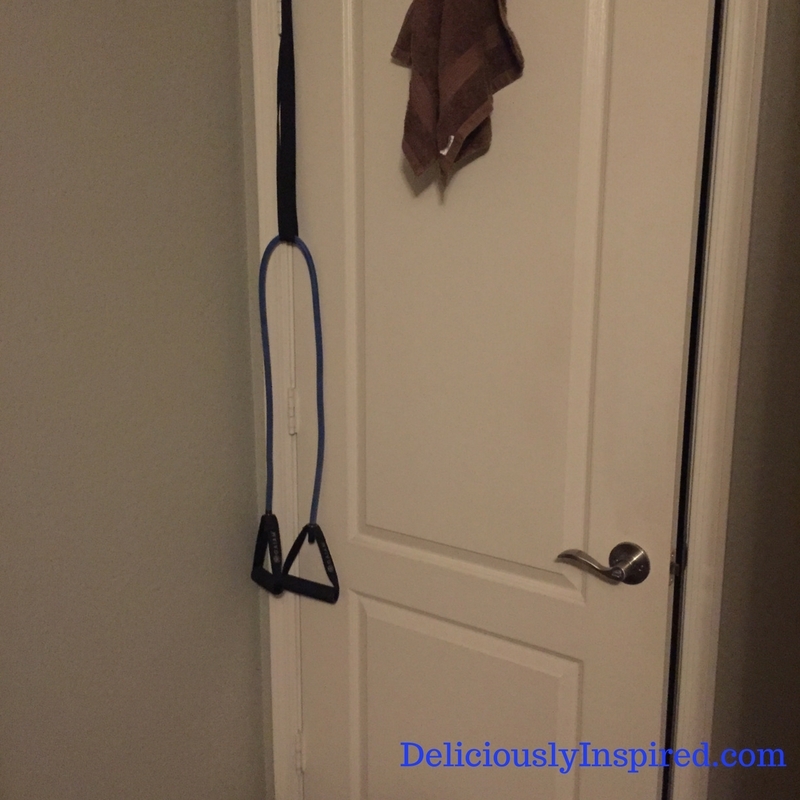 An exercise tubing with handles is attached to my door along with towel holder. 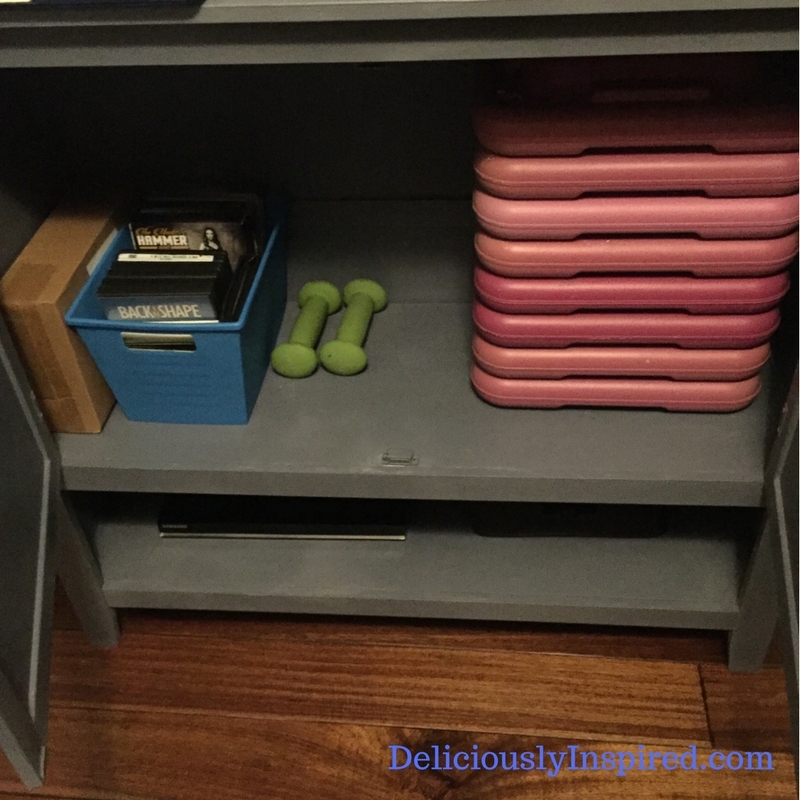 Two bottom shelves of the library bookcase are used to house assorted plastic containers to hold miscellaneous exercise equipment. 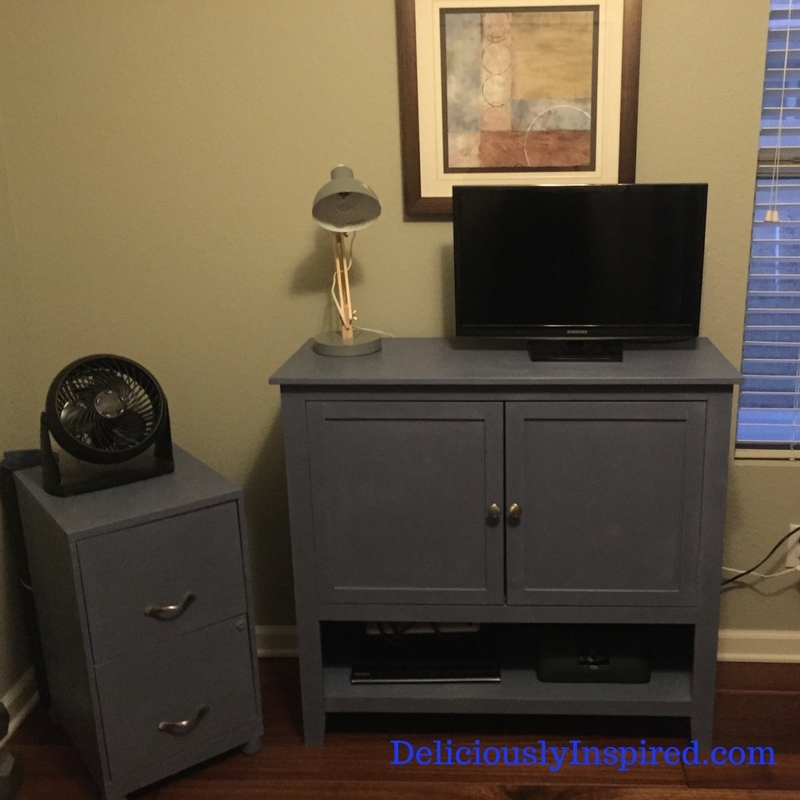 I used some of the blue paint to paint the containers so they matched the furniture. 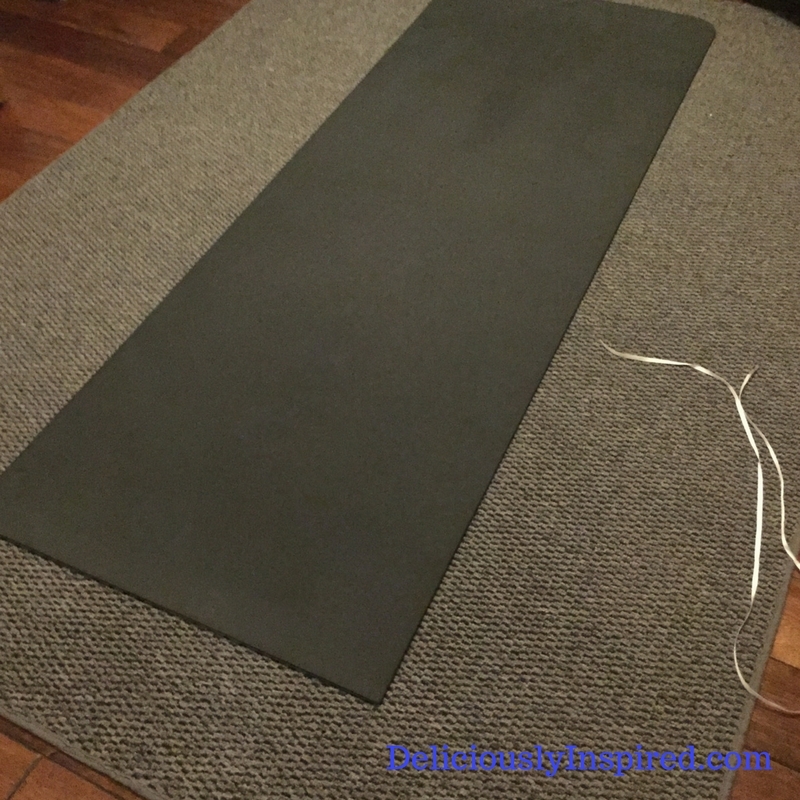 I have an inexpensive dorm rug in this room which gives a little extra cushion to my exercise mat. 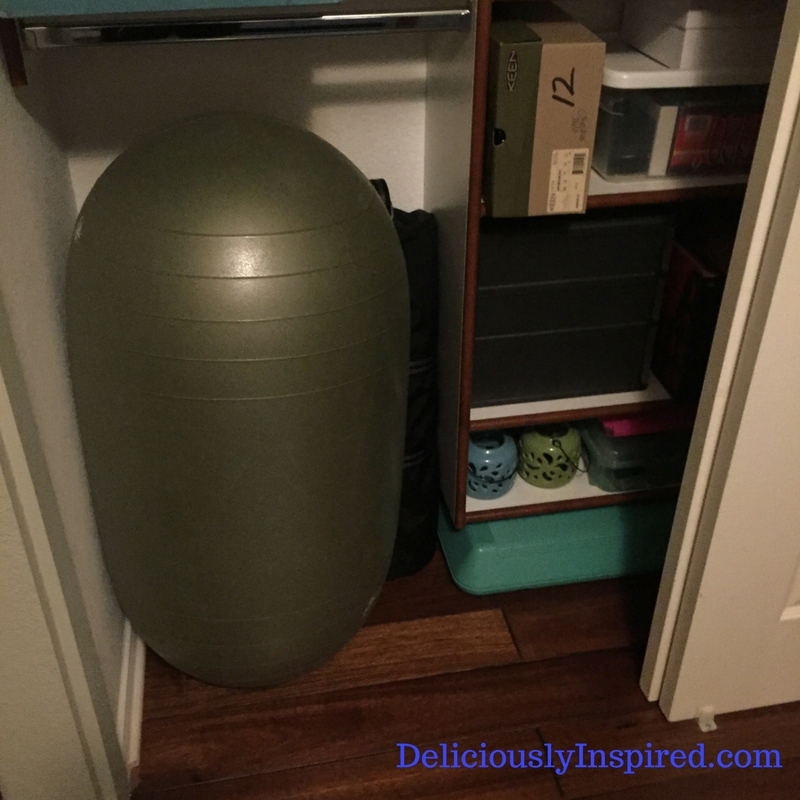 When the mat is not in use, it is rolled up and tied with a piece of ribbon and stored behind the file cabinet along with my foam roller. My workout clothes and shoes, headband, hair ties are stored in a cloth bin so all I need to do is pull it down and get dressed. I also have a bag packed with gym card, iPod, headphones, toiletries, flip flops, and makeup that is stored behind the gray library chair. 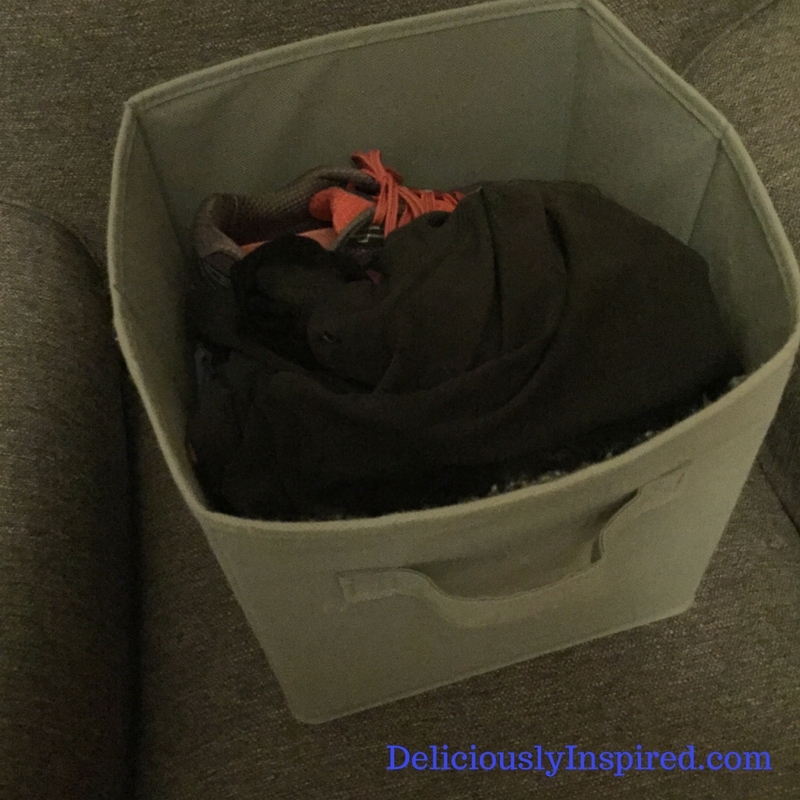 Having this packed and ready to go helps me eliminate excuses for early morning workouts when I want to head to the gym, shower and then head straight to work. 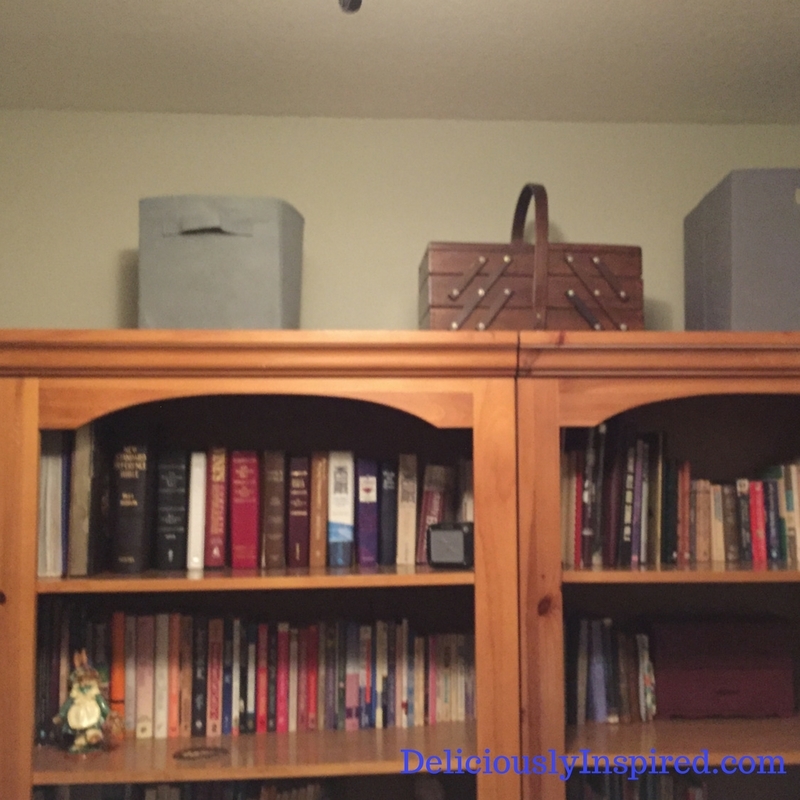 My workout clothes storage bin is stored on top of the library bookshelf. I am pleased as punch with the exercise area of this room. It is well equipped, functional and best of all except for my weight rack, the room doesn’t feel like a workout room unless it is in use. Have you ever hit one of those seasons in life where you feel like you’ve been sucker punched? You notice that your energy doesn’t go as far as it used to, you tend to be more forgetful, have headaches, and weight gain seems to be your friend? These times happen because we live this thing called life and the healthier we are the better we manage through what may come our way. Maybe you’ve had a new baby (recently or 30 years ago), or have little ones running around, or life is asking you to take care of a loved one who is ill or you just haven’t had the opportunity to learn what a healthy lifestyle looks like and you’ve started to believe there isn’t time to take care of yourself. Don’t believe that for a moment. It’s a lie and one we don’t want to take up residence in our minds. It is true that time may not be as abundant as it once was but we are smart and can find ways around that as we learn to manage our time and not let time manage us. Often the very thing we hesitate to implement is the very component that is needed the most in our lives. What happens when we get sucker punched? – we hit back by finding tools that work and establish healthy habits to get us on track to live inspired lives that explore and laugh despite what we are going through. I’m looking for 5 women who have 5-10 pounds they would like to say goodbye to or perhaps build strength in those arms and legs that do so much for us. It is amazing what can happen when the right tools are applied consistently. After years of trying to manage some sucker punches of my own, I finally saw results when I applied daily 30-minute at-home workouts, proper nutrient-dense fuel and frankly quit working so hard at it. For A Free One-Time Consult Click Link Below and Click Going and I’ll be in touch. The Get Fit for Fall Bootcamp will start on September 7th. It is recommended that tools are in place by September 1st. **A workout plan that fits into your busy schedule and is not dependent on good weather. **Nutrition Program that is common sense and teaches portion control but remembers a treat now and then is good for the soul. You are Unique – you are Special and no one can make a difference in the world in the same way as you can. God doesn’t make carbon copies so let’s get started taking care of these bodies and living lives of intention. I’m excited to offer this option for those that have been curious about my challenge groups and would like to gain ACCESS TO TOP BEACHBODY PROGRAMS AND A 7-DAY WORKOUT SCHEDULE – Please read the entire post before signing up. I am looking for 25 people who want to try some of our TOP workouts – 21 Day Fix, PiYo, Insanity Max 30, T25, 21 Day Fix Extreme, P90X3 and more – COMPLETELY FREE for 30 days! All levels welcome. All you need to do is follow the steps below to join my online support and accountability group, as well as access your workouts from your iPad, phone, laptop, and more. There is no cost to participate. Please read through the information below before signing up. This group will be held online via a private Facebook group, and will run August 24 – August 30, 2015. You will receive support, motivation, and accountability, as well as me as your personal coach. (Once you sign up – your free 30 day access will be activated with 48 hours and your 30 day trial begins. You are good to start using before our challenge begins. If you have wanted a taste of the challenge groups that I run and the Beachbody programs that have changed the lives of thousands of people, including myself, this is for you. 2. Send me a Facebook friend request at this link. 3. Contact me at this link to let me know that you’ve taken the steps to secure your spot in the group or private message me on Facebook. Please note: you will be asked for credit card information when you register but WILL NOT be charged until your 30 day trial is over. I will send you an email and also remind you in our free closed Facebook group when our challenge groups ends on August 30th with information on how you can cancel your Beachbody On Demand and your card will not be charged. If you should decide to continue with Beachbody on Demand, the price is minimal – $2.99/week. That’s under $12.00 a month for thousands of dollars of streamed workouts, food plans and accountability. But the first 30 days is FREE. Disclaimer – Please be your own health advocate and make sure you have clearance for physical exercise. Modifications are often provided in the workouts. Each challenger is responsible for their own wellbeing. This offer is for those that are not already working with a Beachbody Coach or taken advantage of the free 30-day Beachbody on Demand offer. 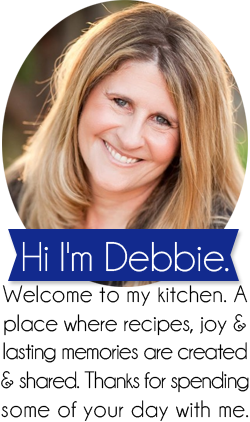 I am available at debra.hallock@gmail.com if you have any questions. Can’t wait to get started with you on August 24th. Deliciously Inspired’s purpose is to provide information and support that enhance our everyday lives; ideas on how to feed our bodies nutritiously and implement fitness, provide encouragement, tips to work smart not hard, etc. – tools that allow healthy habits to grow us into the best version of ourselves. 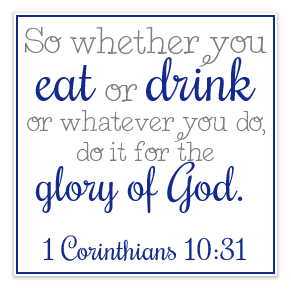 Why is this important?… because when we are taking care of ourselves we are in a better position to care for others and glorify God which in turn has the potential to make this world a better place for all of us.